What does China have to do with the Universal Basic Income (UBI)? A lot! And it directly concerns us in Italy and Europe. The unparalleled expansion of the Chinese economy and the advancing globalization launch challenges that have to make us reflect on how to deal with this double tsunami. International trade, on the one hand, tends to increase average collective welfare, but destroys jobs, increases inequality by penalizing the weakest and the least flexible, which for Italy means the South. The winners are the countries with a large scale of production and, therefore, Italy and Europe as a whole have little hope of competing with China, which produces 50% of everything that is consumed in the world. Our only possibility is linked to the enhancement of our sustainable skills, such as art, philosophy, culture, and history that, as it was during the Renaissance, can be a support for a new recovery of our country. To do this, we must give freedom to these creative forces and free the individual from the salary as a means of support, because a productive system that pushes all young people to study only finance, engineering and other money-oriented trades that take us to that competitive funnel, where China will crush us. In this context, the discussion on whether or not the introduction of UBI in Italy requires a thorough analysis, free from prejudice. Italy could be the country that, more than others in Europe, would benefit, thus turning these challenges into opportunities. From a political point of view, UBI contains various elements of national sovereignty and social justice that make it attractive to Salvini’s Lega. Let’s start from the facts: a couple of years ago, China has launched a manufacturing production upgrade plan (China Manufacturing 2025) which will transform the world’s old factory of low-value production into the most technologically advanced nation in the world. In this fourth Industrial Revolution, China will expand its production capacity both horizontally – always adding new products – and vertically – by increasing its production scale. At that point, indeed already from today, the global trade system based on the WTO will go into crisis because it was not designed to handle dynamics in which one country (China) produces half of all that is consumed in the world. Even today, China produces 820 million tons of steel a year (against our 23 million and 160 of the EU); Beijing produces 50 million bicycles against 1 from the EU; the biggest super computer is in China; the largest astronomical observatory in the world is in China; China is at the forefront in the study of quantum particles, in the exploration of space, in the mapping of DNA, in the production of electric vehicles (which will reach 35 million cars in 2025) and even in the production of renewable energy, where it now invests more of the United States. China has 25,000km of high-speed railways and plans another 15,000 km in the next few years, Italy is planning a few hundred kilometres. China has 60 Unicorns, the EU 10, Italy zero. The list of Chinese excellences is endless: an incoming tsunami. How to compete, then? It is clear that tariffs and protectionist measures are only temporary because they can’t in no way contain this tsunami, that will hit our markets from the East. All the philosophical discussions on: whether or not China is dumping, whether or not there are state subsidies, are just a technical excuse to have legal justifications to impose tariffs, knowing well that buying at lower prices is still an advantage for the consumer, regardless of the cause of the price differential, even if this was due to unfair competition in monetary, social, environmental dumping and other subsidies. China will not only produce some ever-higher quality products but will also achieve economies of scale that will further lower average production costs. The paradox is that China almost materializes, verbatim, Paul Krugman’s suggestions, one of the biggest supporters of the free market, and winner of the Nobel Prize for his New Trade Theory, which postulates that countries do not trade because they are more efficient relative to each other in producing a certain product, as Ricardo claimed in the 1800s, but because they gain a competitive advantage due to large economies of scale. In other words, while Ricardo’s model left some hope for Italy and Europe to be able to export something to China – what we managed to do relatively better than China – Krugman’s approach, even if not explicitly, leads to a “No, Italy would export to China only the products for which it will reach a production scale higher than the Chinese one, that is almost in nothing”. Therefore, the extreme conclusion, mine notKrugman’s, is that China will increasingly export its products to Europe without a proportional parallel increase in imports, resulting in a growing trade surplus, especially on consumer products. Those who support greater European integration to better cope with China, do not take into account that even by bringing together the 28 countries, the European production scale would only tickle China (remember 820 million tons of steel compared to 160 in the EU) and in any case there is no mutual solidarity between the various European countries, that are still considered to be each other’s competitors, as the recent Embraco case proves. Unfortunately, there is something else, because China is not satisfied with its already huge and growing economies of scale, and it is continuing to further expand its scale in Asia through the New Silk Road, and above all, in Africa, where, in the last decade, it has invested more than 300 billion dollars and not the 70 billion often reported by other analysts. The coup de grace for us comes from a comparative analysis carried out by the IMF on the types of goods exported, which reveals a high degree of similarity, equal to 46%, between Chinese and Italian exports. This is an index that quantifies the degree of competition between the two countries and which claim that Italy has the highest degree of similarity with China amongst the EU states and, moreover, this is increasing over time. In other words, Italy is the biggest competitor of China among the EU countries, without having the economies of scale to be able to compete on a par. It is as if the tsunami of China Manufacturing were specifically addressed to us, more than others. In order not to sound over-pessimistic I shall avoid discussing the demographic problem that Mr Boeri from Italian Social Security Service (INPS) has repeatedly highlighted. In summary, the main reason why China is successful is because it is a planned economy, where there is, for example, a well-defined urban development plan based first on developing infrastructures and then welcoming migrants from rural areas, whose number is established from year to year, according to the needs of the country; a planning that does not create those imbalances with which, instead, the EU is, completely unprepared to manage the migratory flow from Africa. A small market economy, like ours, cannot compete with a planned economy that is 20 times larger. On the other hand, I also understand that we are not ready to completely disavow our model based on market forces and switch to a statist economy ourselves, but perhaps we can try to regulate the system a little. Let’s see how. How can Italy react? Investing in intangible assets. What possibilities for Italy? What are the areas where Italy can compete and reach the scale? Italy has a great resource, a sustainable competitive advantage: art, history, free thought, culture. As Alberto Angela, historian and documentarist reminded us, Italy is the only country in the world that possesses marvels distributed throughout the territory, from the Alps to Sicily, and over the centuries, from 2000 years ago till today. A space-time rarity that the whole world envies us. From the round-about of Piazza Venezia in Rome, one just has to make a complete 360 ° turn to go from the Roman ruins of the Trajan markets to the medieval basilicas, to the domes of the 600, up to the Umbertine architecture. Even here, the list is endless. These resources, on such a large scale, are for us the advantage that Krugman speaks of and that no country in the world can replicate.They are therefore sustainable in the long run and can be used in two ways: first, they help to project the image of Italy abroad, thus differentiating us from other countries. This perception, in the eyes of foreigners, has a positive and immediate effect even during business negotiations, as I have seen in my thirty years spent abroad. Even during a business meeting, where the sale of some mechanical devices is being discussed, as soon as one shows a video of the Sistine Chapel, Baggio’s goal with Czechoslovakia, Pavarotti in Verona and aerial view of Matera, the counterpart stumbles and signs contracts with a smile on his face. Secondly, in an indirect and chaotic way, cultural variety is the intellectual-cultural humus to create that Italian way, which inspires, motivates and supports the rest of the society. It is as if even those who do business, finance or economy, were unconsciously inspired by the beauty that surrounds it, by a street violinist or by a poet from Trastevere. Italy, in order to have a chance in the future, must try to recreate the atmosphere that reigned during the Renaissance, where popes and magnates surrounded themselves with artists and the whole society benefited from it. Among the artists, one out of a thousand makes it, but the whole society benefits from it. How do you create this humus? It is within this cultural context that the UBI must be framed. Universal Basic Income must be conceived as an investment that the State makes to unleash that potential innate in each of us and free young people from the oppression caused by the need to earn a salary, which worries us and that leads us to make study and career choices not necessarily well suited. In addition, it takes away resources from the liberal arts which are the support of our country. It is a state intervention, a kind of government budget, which ensures that in Italy there will still be many young people who dedicate themselves to these jobs that, on average, do not bring any economic advantage and in order to prevent everyone from going to study engineering and finance and that high school specializing in classical studies could become a place only for the elite. 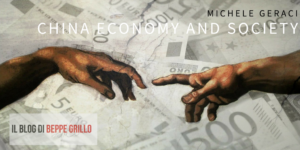 It should not be seen as a bonus for the lazy, but a method to continue along the tradition of liberal arts, an investment that the state can do to try to bring out a hundred thousand new Michelangelo from the Sistine Chapel. It is an investment that the state makes in those resources where it enjoys scale compared to other nations, just as China invests in high-speed transport. China invests in material assets, we invest in intangible ones and try to turn a lazy person today into a potential talent. A talent that is imprisoned in the loafers, forced to loaf because of the lack of hope. Of course, one cannot know a priori who among the young people of today will be the one in a thousand who will succeed and who, on the contrary, will fall into oblivion. Therefore the Universal Basic Income should be seen as an ex-ante reward for those 999 that will never have an economic success but that their input, even indirect, will contribute to that one in a thousand who can make it. Without 999, not even the one would be there, and therefore we need to force the system so that these 999 do not disappear behind economic formulae. In China, where I teach finance, I estimate that 70% of my students would better choose another field of study, but the social pressure and the need to find a job, lead them to choose useful trades, which creates a strong distortion in the allocation of the human and intellectual capital of a country. With the advent of Artificial Intelligence, many jobs will disappear. Jack Ma, the founder of Alibaba, says that we need to teach our children the things that AI cannot replicate. Therefore, state investments in liberal disciplines should not be seen as a one-off benefiting only the individuals who collect it, but as a benefit shared by the whole society. The ABC of sharing economy. Without the UBI, many young people would be forced to abandon their vocations to become all engineers and economists. Some people talk about encouraging our young people to study practical subjects, to shorten the duration of high schools, or to discourage those who want to undertake classical studies to be a minstrel. Nothing could be more wrong. These trades are the true support of Italy which is very good at enhancing it. Let’s face it, the truth is that for 500 years we have lived off from paintings and statues from the Renaissance. We just have to fully realize this potential. Benedetto Croce said that nations that lose their cultural heritage automatically lose their sense of being a nation. Living within this immense heritage from birth, not observing it from afar or on the Internet, builds a characterization and creativity intrinsic to the Italian people that no one else in the world has. Max Scheler in the Philosophy of Values adds that the individual is a bearer, not a creator, of cultural values and the stronger and broader the substratum to which he is exposed, the broader the range of thoughts and evaluations that the individual can produce and, therefore, greater creativity. Let me just make two final remarks. During the recent elections, the Five Star Movement was successful in the south of Italy because UBI is considered to be a welfare measure. I do not believe this; I believe instead that the young people from the south have long since lost hope and, probably, the 780€ would give them back this hope. Just recently, a book written by Riccardo Monti, ex-director general of the ICE, was published, which states that the next decade will be a last chance for the south and perhaps it is from the south, namely from the weaker side, that Italy can have its decisive boost. If UBI is useful to Italy, it is especially true for the Italian Mezzogiorno. Is there a real risk that someone could take advantage of it? Of course, no investment returns 100% efficiently, and this is even truer among “intangible investments” (know-how, knowledge and culture). Even among us, there will be some Caravaggio who will commit crimes, but the effort that the government must make is to create that cultural humus that gives confidence to its citizens. In China, for example, to minimize fraud, every residential building publicly exposes the list of those who receive various forms of subsidy, which constitute a small deterrent for the wily. Can Salvini’s Lega accept UBI? From a political and economic point of view, the UBI could be accepted by Salvini too because 1) it has a nationalistic and sovereign angle since only Italian citizens can take advantage of it with absolute prohibition of remittances abroad by anyone; 2) re-values our national heritage; 3) it contributes to raising the minimum income so that the downward competition of migrants will find less space; 4) makes the flat tax even more progressive in practice, 5) improves road safety and crime, and 6) can be used as a pretext to improve the systems to monitor tax evasion and increase penalties for those who commit crimes, which are the pillars of theproposal of the Lega. Where do we find the money? It doesn’t matter. Finally, let’s go back to the numbers, from where we started: someone will ask me where the 30 billion covers are; but it does not matter, it is a debt that the state contracts with its citizens, a simple accounting relocation, such as the game of three cards, if you need bridge-financing, the Borghi’s mini-bots would suffice.